When I was little, my dad would tell me the happiest time in his life was back in college when he could fit everything he owned in the passenger’s seat of his car. There are many ways one could interpret the above statement. Was my father suggesting he was happiest prior to being married and having a family? After all, his wife and four daughters certainly couldn’t all fit in the passenger's seat of his car. Well, considering one of my dad’s favorite things to remind me of is, “you don’t own your possessions, they own you,” I know what he meant by the above statement was that he was happiest when he didn’t own (or rather, was owned by) so many things. Naturally, whenever my dad would tell me about the happiest time of his life, I’d respond with, “You're buying me a Jaguar?!?!?!?? !” Sadly, I was never able to leverage such a deal for myself, and my poor father was left disappointed in my inability to grasp the wisdom he so sincerely wanted to bestow upon me. 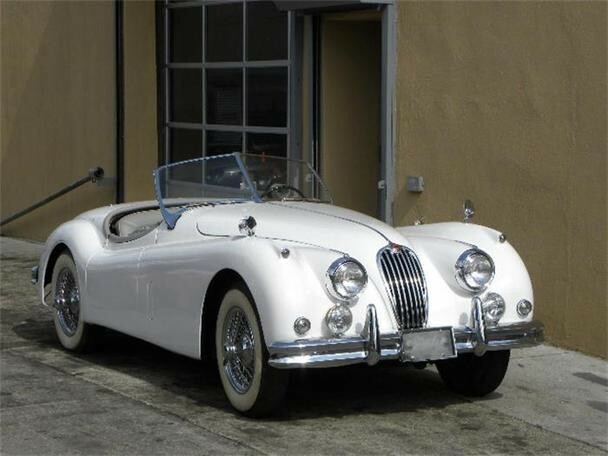 My dad wasn't a spoiled child whose parents bought him a Jaguar. Quite the opposite. Long story short –someone purchased the Jaguar, had it shipped to the United States from England, never drove it, kept it in a garage for years, and in 1966, sold it to my dad for $600. Sadly, shortly after purchasing it, my dad had to sell his beloved Jaguar to an actual spoiled college kid because, like all Jags, they were (and are) incredibly expensive to maintain. This was my dad’s first and last luxury car. I think my dad may have found the key to a happy life: less is more. I'm still open to testing my theory that replacing my car with a Jaguar would increase my happiness level (at least temporarily), but considering that we just bought a boat, I think I'll have to pass on getting to the bottom of that age-old question. Safe travels! Can't wait for pictures and your first post from your new "home"!